In large bowl, mix 1 cup of the flour, the sugar, salt and yeast. Add oil and warm water. Beat with electric mixer on medium speed 3 minutes, scraping bowl frequently. Stir in enough remaining flour until dough is soft and leaves sides of bowl. Place dough on lightly floured surface. Knead 5 to 8 minutes or until dough is smooth and springy. Cover loosely with plastic wrap; let rest 30 minutes. Place one rack in upper third of oven and one in lower third of oven. Heat oven to 425°F. Spray 2 large cookie sheets with cooking spray. 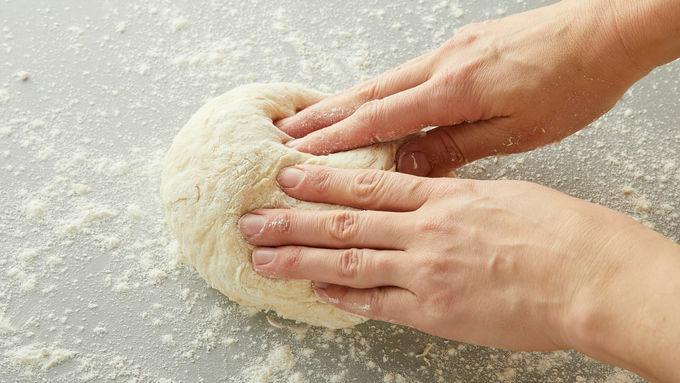 Remove plastic; on work surface sprinkled lightly with flour, roll dough to 16-inch circle. 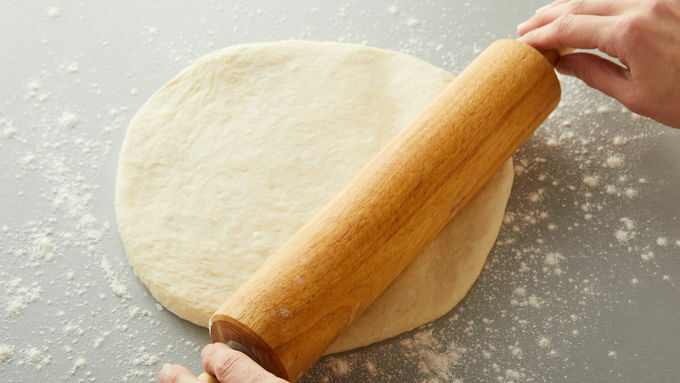 Use knife or pizza cutter to cut dough in half. Carefully transfer each half to center of a cookie sheet. Place 1 cookie sheet on each rack; bake 7 to 10 minutes or until crust just begins to brown. Remove from oven, and use fork to deflate any crust bubbles. Meanwhile, in small bowl, mix tomatoes, garlic powder and onion powder; stir to completely combine. Top both crusts with tomato sauce, cheese, Italian seasoning and pepperoni. Return cookie sheets to oven on opposite racks from first bake. Bake 8 to 10 minutes or until cheese is melted and crust is golden brown. Using pizza cutter, cut thin strip (1/4 inch) off straight side of each crust; cut each half into 3 slices. Serve warm. Use a thermometer to ensure the water is the right temperature for the yeast. 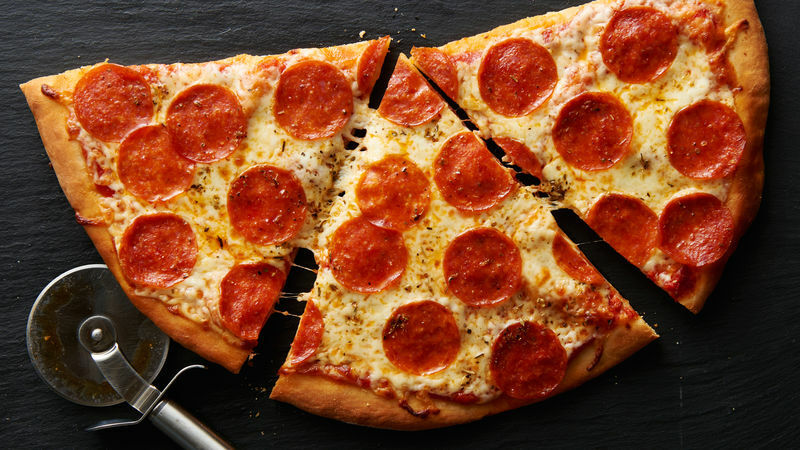 Whole milk mozzarella provides a creamier texture and a more flavorful pizza. 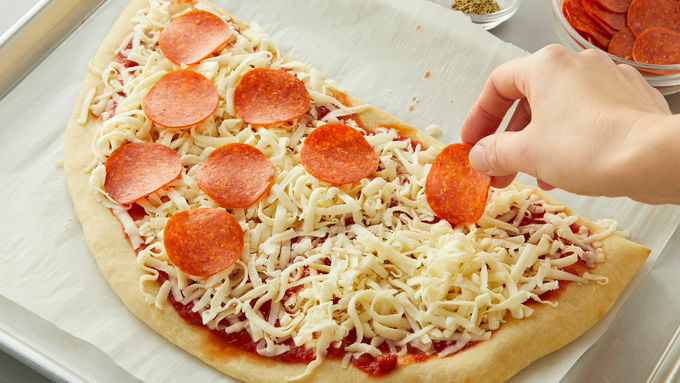 Baking on 2 sheets and cutting the thin strip off the straight edge allows you to produce the large slices of pizza. Rotate pans as necessary to provide for even baking.